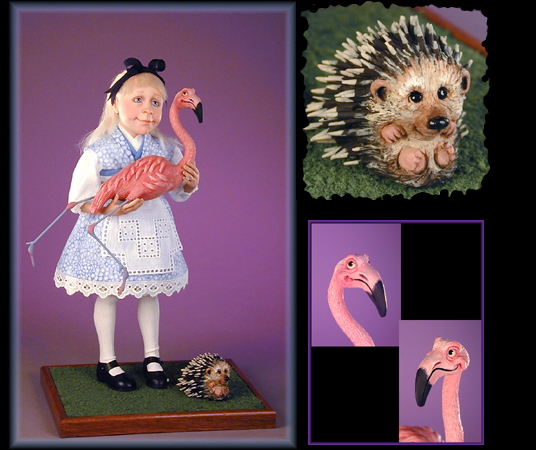 One of a kind Art Doll Setting, All Characters are hand sculpted in Quality Polymer Clay and hand tinted. Approx. 10" tall.